Here is another rescued bird I photographed during the special Aviary Encounter held at the Deep Creek Lake State Park‘s Aviary last weekend for Birdfest 2016. 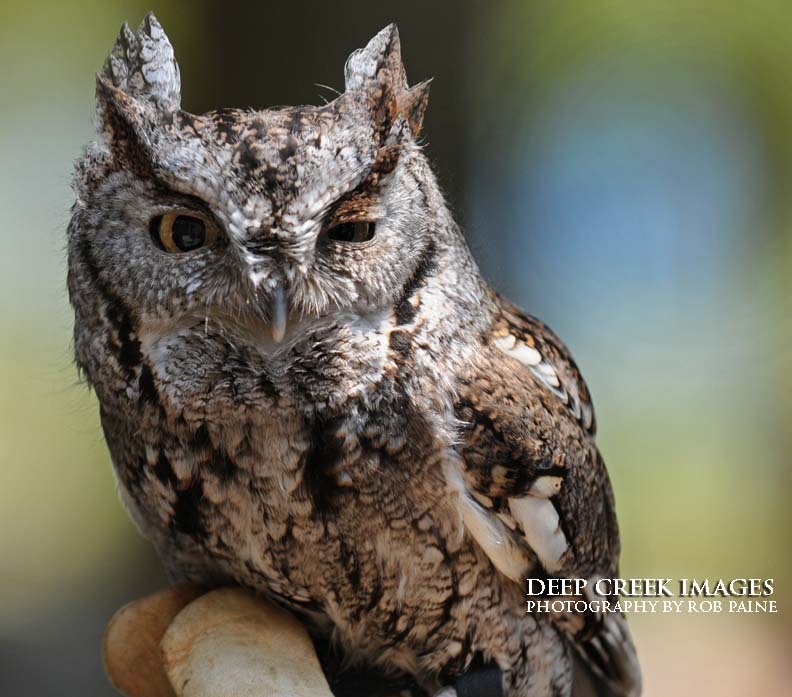 To get an idea of how small a screech owl is, look at the bottom of this photo. Those white things are two of the handler’s white glove covered fingers. The bird’s face is smaller than the handler’s hand.